When you’re in “the friend zone”, she doesn’t look at you the way she looks at other men. She sees you like a brother or a cousin. A safe, stable guy to fix her car, kill a spider or open a jar. Around you, she doesn’t go to any great lengths to look good and she chats with you like you’re one of the girls. She may even slowly twist the knife by asking you for advice on how to please her latest love interest. It doesn’t matter how long you’ve been secretly pining away for her, she just doesn’t see you that way. But that can change. Pheromones for men are your secret weapon for dating. When you use them, the friend who wouldn’t even give you a second look won’t be able to take her eyes off you. There is some serious science behind pheromones for men. A study published by Scientific American showed that male pheromones have a direct effect on female arousal, mating behavior, and even ovulation. If you’re always the friend and never the leading man, it may have a lot to do with your natural pheromones. Many men have lowered testosterone levels due to a variety of factors. If you’re one of them, turning her head can be a chore. You don’t have to stay that way. You can literally be the guy she’s always attracted to but getting hurt by. You can change your natural scent with pheromones for men. Just a few drops of pheromones and you’re literally a whole new man in her eyes. She won’t know what it is about you but something has changed. At first, she’ll try to talk herself out of it. She’ll convince herself that it wasn’t you she was fantasizing about late last night. But before you know it, she’ll be treating you differently. You may even notice she dresses up a little now and wears perfume. She may even flirt. With her body suddenly responding to you in a different way, she may be anxious and confused at first. Help her out by sending subtle signals you’re interested too. Just don’t be too obvious. Before you start working the magic of pheromones for men, you’ve got to do a few more things to get out of the friend zone. If you’ve ever wondered why the girl you like is always running after bad boys but not interested in you, blame science. According to an article published in Psychology Today, people fall more in love when they give, not when they receive! You may think that eventually everything you give her will amount to her falling in love with you but it will just make her take more. Instead, say no to her every once in the while and watch her attitude change. When you’re in the friend zone, you bend over backwards trying to impress and please her, never thinking of what she could do for you. Turn the tables. Call her up and ask her for a favor or just ask her to get you a beer out of the fridge the next time she’s over. The dynamic will change instantly. You want to really get her? Ask her for help picking out an outfit for a date (even if you don’t really have one). Now isn’t the time to go from best friend to complete jerk so if she does something nice for you, be sure to thank her. Showing your grateful without feeling like you have to return the favor slowly changes the dynamic in your relationship. If the two of you talk everyday, stop. The next time she sends you a text message or calls you, don’t get back to her right away. Making yourself scarce will show her just how much she depends on you. The best way to get out of the friend zone with the girl you’re really into is to go out on a date with someone else. It doesn’t have to be anything serious. Just a casual lunch or movie date is fine. Even letting her know you’ve set up an online dating profile might be enough to pique her interest. It might sound cruel but completely ignoring her for a couple of days will really show her what she has to lose. If she really cares about you, she may find herself thinking something has happened to you. The relief she’ll feel when you finally get in touch might feel, even for a moment, something like love. Just don’t go for more than two days or she may call the cops! The next time you two get together, it’s important that something about you has noticeable changed. Get a couple of new outfits, shave and do something different with your hair. This is the perfect time to try out that new pheromone cologne. A new look and a new smell and she’ll see you in a whole new light. Just don’t make mention of the change. If you “ta da” the next time you see her, she’ll know you’re trying hard to impress her. Don’t say a thing. Let her bring it up first. The type of pheromone you’ll use will depend on the type of reaction you want from her. Not all pheromones work the same. Some work in a subtle way, increasing her trust and making her feel more comfortable around you. Others will make her go from 0 to 60 in a few minutes flat. Before you choose a pheromone product, think about what you really want from her. 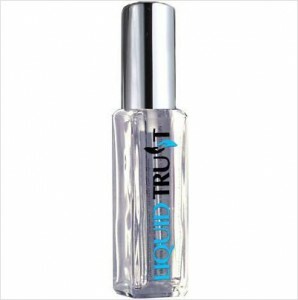 If you want to get her to trust you in a way she hasn’t before, try Edge Trust or Liquid Trust. Each of these pheromone cologne products contains oxytocin, a social bonding pheromone that makes her really open up to you. Both pheromones for men are unscented and mix well with the cologne you already use. Men with confidence get the girl, it’s the simple. If lack of confidence is making getting your best friend interested in you difficult, try Scent of Eros pheromone cologne. 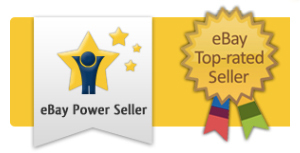 Scent of Eros is the #1 ranked pheromone product in the world. It contains androstenone, a powerful aphrodisiac that sparks her interest. This pheromone also improves your feeling of confidence, making taking things to the next level a lot easier. If the next time you see her, you want to skip over subtle and drive her wild with desire, choose Nexus or Primal Instinct. Both of them contain strong levels of the lust pheromone androstenone. 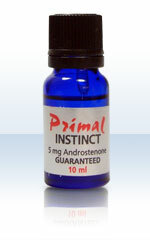 Androstenone has an immediate affect on her hormone levels and libido. This is the best pheromone product to use if she’s just getting over a breakup with one of the many losers she likes to obsess over. Splash on a few drops of one of these pheromones for men, grab a bottle of wine, and head over her place to comfort her. Don’t be surprised if you end up in bed! Pheromones for men aren’t anything like the cologne or aftershave you’ve used in the past. This stuff is serious business. You don’t want to use too much or too little of them or you won’t get the desired effect. Bathe in it and she’ll run away from you. Use too little and she won’t notice the difference. When you select the right pheromone product for you, make sure you use it the right way. A few drops on your pulse points or your undershirt is all you need. Remember, pheromones for men won’t do all the work for you. You have to follow the steps above if you want to get out of the friend zone. If, after all this, she’s still not interested, move on. Consider what you went through practice for the woman you’re meant to be with.